Police have launched a murder investigation following what they have described as a ‘fatal stabbing’ in Crawley. Emergency services attended the incident but the 24-year-old was pronounced dead at the scene. His next of kin have been informed. The entrance to Watson Close was cordoned off by police and officers remained at the scene this morning as investigations continue. 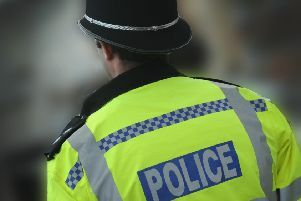 In total seven people have been arrested in connection with the incident and officers said they were hunting for a further person for questioning. Detective Chief Inspector Till Sanderson, who is leading the investigation, said: “We believe that the victim was known to his attackers and we have arrested three people in connection with the murder. “Enquiries are continuing to locate two other people who we want to speak to. Police said a 44-year-old woman from Crawley was arrested at 8.15pm on Thursday on suspicion of conspiracy to murder. A 47-year-old man from Crawley was arrested at 11.15pm on Thursday on suspicion of conspiracy to murder. A 20-year-old man from Crawley was arrested at 4.45am on Friday on suspicion of murder and possession of a controlled drug of Class B - cannabis. Three 17-year-old boys were arrested at 11.30am on Friday on suspicion of assisting an offender. A 24-year-old man from Horley was arrested at 10.50am on Friday on suspicion of assisting an offender. All remained in custody at 1pm today, officers added.